Wow, so versatile! Thanks for sharing. This die cut is so sweet and you did a great job w/the background. Also I like how you used the sentiment. Thank you. I adore both of these sets, but mr. bear has stolen my heart! Your cards are so stinking cute! These are beautiful! 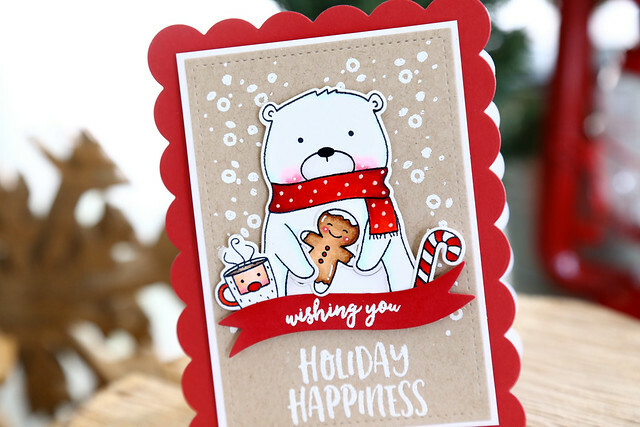 I'm in love with the Beary Merry set; it's definitely on my list! Awww!!! I'm in love for these cutie and adorable new stamp sets!!! All your cards are so sweet!!! Seriously, your designs could not be any cuter! I love everything you created. Both of these sets are on my wishlist! You're creating a need now! I love the bear. Will try to see how I can get it here in France. ELena, these are just gorgeous! I absolutely love that he got turned into a stamp set!! Congratulations!! I can't wait to order him. 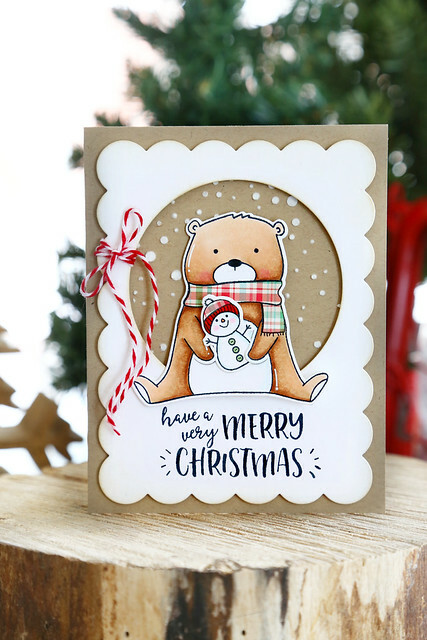 Very cute bear cards--I like the snowy background. Love the sweet baby Jesus image. Beautiful cards. The bear is so cute. Love the sentiment from baby Jesus. Your images are always so cute. These cards are fabulous. Both sets that you designed are fantastic! I love the Baby Jesus stamp and die set best. Really cute cards. Love that cute bear and that he can hold things or critters. Fabulous cards! I love that sweet bear... and he looks just as cute whether he is colored or not! (I love the fun Santa mug too!). 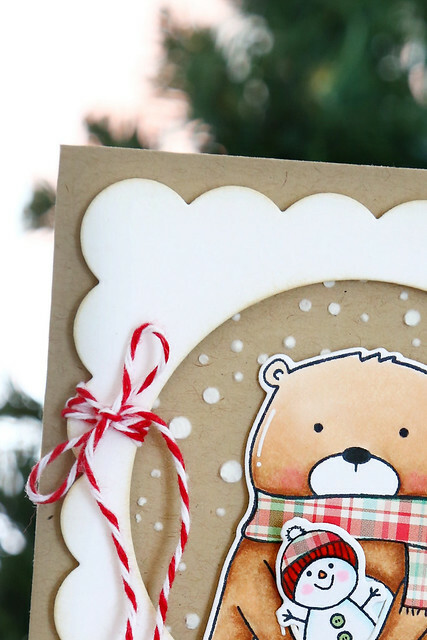 Love the snowy background, and also your sweet card with the Little Baby Jesus design! These are so cute! I'm so glad these digis are real stamps now!!! Amazing set of cards,Elena! Each one so beautiful!! I love the bear and the little Jesus is sooo sweet!!! 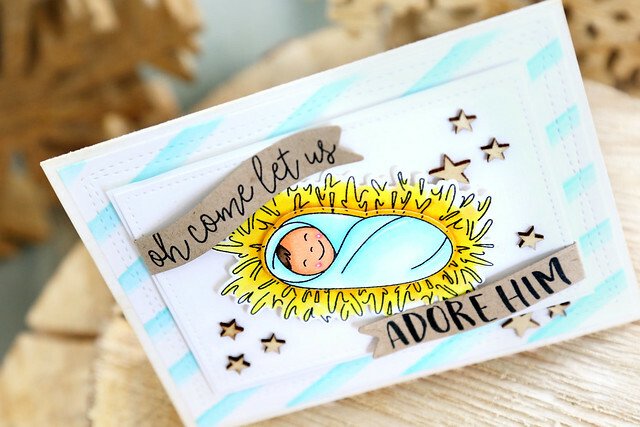 Love these new stamp sets and the Baby Jesus set is super adorable. Your coloring is just superb - thank you for converting your digis to stamps!! Love the rosy red cheeks on that first bear. Three great cards... 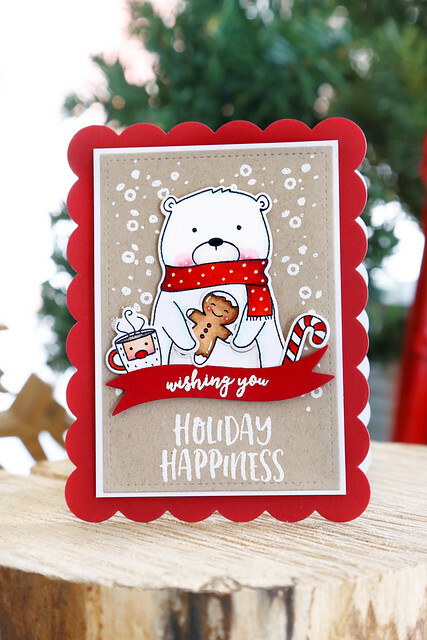 I especially like the fun, cheery bear cards; beautifully colored with lots of great details added. And I'm lovin' the new scalloped dies! They add that special extra something. TFS your talent! I love your bear card it's so cute. Lovely cards! The bear looks so contented with his cocoa and gingerbread man! That bear holding a snowman is cuteness overload!